Now THAT was my longest gap in posting ever. I think the bottom line is that I'm becoming more of a Twitter / Facebook microblogger. It fits better in my busy schedule and it's now easier to post with my new phone (the topic of this post). I will try to be more active on this blog but to be honest the convenience of micro-blogging is just much more attractive these days. My movie reviews will remain a staple of this blog though (need to see Machette) and I'm sure I'll generate some new post ideas from time to time. For those of you who want to go beyond the blog, make sure to follow me on Twitter and Facebook. Back to the phone. The kind people at my company have bestowed upon me the single greatest phone I have ever owned. 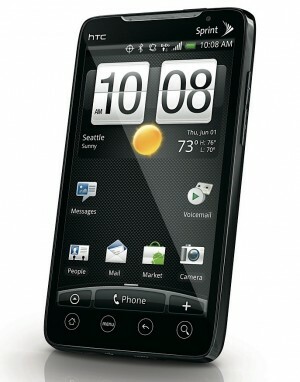 I received the Sprint HTC EVO 4G phone about three weeks ago. I had requested a phone upgrade as my HTC Touch Pro 2 Windows Mobile phone was on its last legs. It had become way too slow and drained batteries extremely quickly. Plus, it was Windows Mobile which is Indiana Jones and the Crystal Skull compared to movies 1 (Android), 2 (Blackberry) and 3 (iPhone) of the saga. Once again I will remind all my blog readers that I am a Google fanboy. With the exception of Wave and a few other minor hiccups, Google is constantly innovating and leading IT strategy. With apologies to my company, I would probably jump ship if I got an offer to work at Google. I have my hooks into nearly everything that Google offers (except for Ad Words) and it was only natural that one day I would be fortunate enough to own a phone with the Google Android operating system. In addition to having a phone that can easily hook into all the Google applications I use, I have professional aspirations for developing applications for Android. There are some potential projects coming down the pipe that might be a fit for Android development. Having focused mostly on Flash development for the past few years, I want to branch out my technical focus into the mobile application arena. Now most of you are probably wondering why I did not clamor for an iPhone. The chief differentiator for me in Andriod over iPhone is that Steve Jobs and Apple hate Flash. Any mobile Apple-based device will not play Flash movies which work on 98% of all browsers in the world. Jobs claims that HTML5 is the future, not Flash. This may be true but at least have a device open enough to support both options. I have been working with Flash since the last century and continue to do so on a daily basis at work. All Android phones support Flash and the latest versions support Adobe AIR which will allow for slicker and more productive Flash applications and games on mobile devices. Besides the Flash issue, Android phones are simply much more customizable than iPhones. On Android, you have the ability to add widgets to your home screens, install custom homemade applications that aren't in the almighty App Store (iTunes) and (probably most importantly) remove your battery and memory card to add to your storage and battery life. The iPhone is a very closed device that forces you to be completely controlled by Apple. Now I don't hate Apple by any means (I own stock in both Google and Apple). They are the innovators of the touch screen mobile interface and continue to provide excellent music devices and "magical" iPad technology. I just feel that Google has re-invented the wheel when it comes to mobile phones and their vast army of established web applications makes the Android OS much more attractive than iOS. Android phone sales are gaining on iPhone sales at a record pace and I believe we'll see Android as the #1 mobile operating system in 3-5 years. I'll get off my soap box now. Google Goggles - I bragged about this when it came out and now I have it in my pocket! Google Sky Map - uses GPS to label stars in the sky. Now I know where Uranus is at all times! Foursquare - Allows me to check-in at different locations. It's geeky, but I enjoy it. Google Voice Search - I can say "send text to Nate Rose, what time are we meeting?" and Android will open up a text message addressed to Nate, and put my text in the body of the message. This is super helpful for when I'm driving somewhere. Google Maps / Nav / Latitude - The navigation is supremely detailed and accurate AND I never have to update maps (bye bye Garmin). Latitude allows me to see where my Google contacts are at any point in time. And that's just a portion of the 122 applications I currently have on my phone, all of which can be used over 4G speeds in certain areas (mostly around the beltway right now). And believe me when I say that 122 is just scratching the surface of what I can put on this phone. With the very cool (developing for dummies) Google App Inventor, Google has allowed novice programmers the option of developing Android apps for the phone. The web-based development environment allows aspiring developers to utilize GPS, voice to text, the accelerometer and other features of the phone in a visual plug-and-play easy-to-learn environment. I was able to develop a test application in an hour and could test it instantly from my phone. iPhone developers will never have this option as they can only develop on Macs and using only Steve Jobs approved development tools. Google is making every effort to support Android as an open environment for developers of all kinds and you can expect the App Market to grow and thrive as a result. My only negative about the phone is battery life. I bought an extra battery and multiple chargers (car and wall) to handle the need for more juice. I've always had a habit of charging my phone regularly anyways so this is only a minor drawback for me. The pros COMPLETELY outweigh the cons and at the rate that Google innovates, I don't see the need for leaving the Android OS anytime soon. At version 2.2 right now with 3.0 (Gingerbread) on the way, I am backing Google's software innovation over Apple's right now. And I won't get any "can't play Flash" messages on my phone along the way. I don't expect many of you to be as geeked up about Android as I am. In fact those of you who already own a Droid may only be using it for email, phone and text (a notion I just can't relate to). I will utilize this phone to the fullest (as I usually do with most technology I get my hands on) and am very pleased with the arsenal of possibility at my disposal with the EVO 4G. Google is definitely on the right track with their mobile strategy and I'm pretty sure Jobs and Co. are scrambling to fight back. I failed to mention that Android 2.2 syncs perfectly with Outlook/Exchange. I get all my work email, calendar and contacts on the phone. The calendar allows you to put Google events and outlook events on the same shared calendar.